A new, 3-D state-of-the-art sonar map released January 11 by NOAA’s Office of National Marine Sanctuaries, ExploreOcean, Teledyne Blueview, and Northwest Hydro shows never-before-seen details of the USS Hatteras, the only Union warship sunk in combat in the Gulf of Mexico during the Civil War. 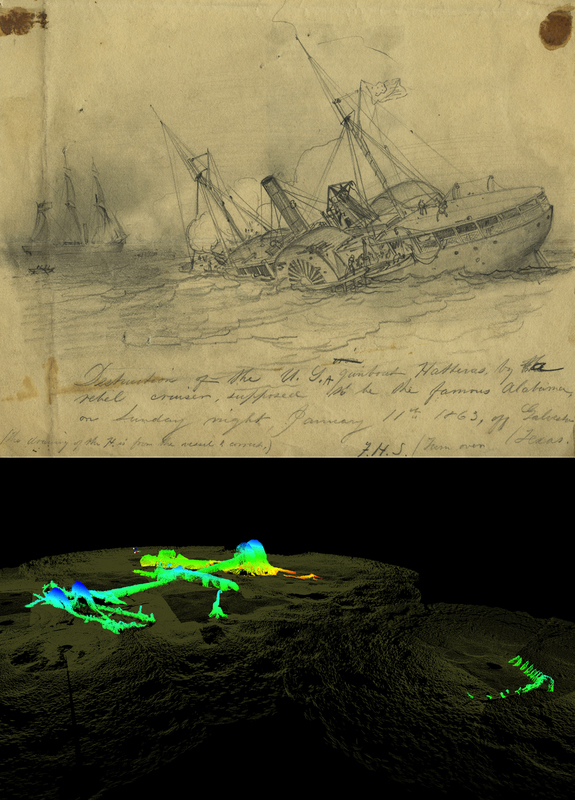 One hundred and fifty years ago this month, approximately 20 miles off the coast of Galveston, Texas, the Hatteras, an iron-hulled steamship the U.S. Navy converted into a gunboat, was sunk during a battle with the famous Confederate commerce raider CSS Alabama. The battle was one of the skirmishes that saw the key southern port of Galveston change hands twice and remain one of the last bastions of the Confederacy.